There has never been a greater need for a high performing, strategic procurement organization. Technological innovations, shifts in demand, evolving regulations — the forces of disruption continue to occur more frequently as markets around the world grow more interdependent. 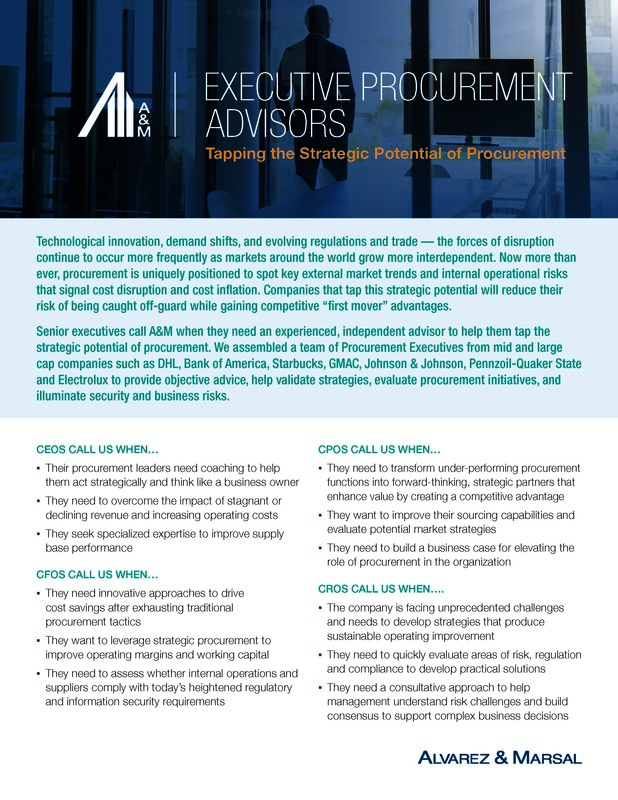 Now more than ever, procurement is uniquely positioned to spot key external market trends and internal operational risks that signal cost disruption and cost inflation. Companies that tap this strategic potential will reduce their risk of being caught off-guard while they gain competitive “first mover” advantages.